Giuseppe Borri nacque a Busto Arsizio (Varese) il 7 febbraio 1867. Suo padre era un calzolaio e Giuseppe iniziò a lavorare con lui a soli 9 anni e pochi anni dopo fu mandato a Milano a bottega per specializzarsi nella produzione artigianale. A Milano iniziò a sviluppare un interesse per la meccanica applicata al settore calzaturiero, di cui iniziavano in quegli anni in Europa a comparire le prime notizie e cercò di documentarsi attraverso pubblicazioni tecniche. A 14 anni decise di emigrare nella vicina Svizzera, prima a Locarno, poi in altre città (bustocchi migranti??). 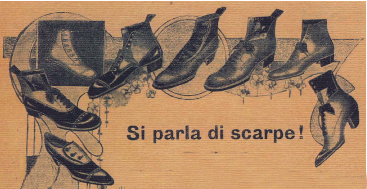 La sua aspirazione era riuscire a lavorare in aziende già operanti con macchine per la produzione di calzature che in Italia ancora non erano presenti (il calzaturificio svizzero Bally ad esempio le aveva introdotte a partire dagli anni ’70 del XIX secolo). A parte le difficoltà iniziali, il calzaturificio funzionò. Già dopo pochi anni ci fu l’esigenza di allargare lo stabilimento e di acquisire nuovi macchinari tedeschi; ma la vera svolta produttiva avvenne nel 1900, dopo che Borri all’esposizione internazionale di Parigi visitò lo stand Goodyear e riuscì ad accordarsi per l’importazione in Italia con la più importante costruttrice di macchine per calzature del tempo. Dal 1901 Borri iniziò una collaborazione con un industriale di Alessandria, Oreste Vitale, e insieme costruirono a Busto uno stabilimento nel quale introdussero - per la prima volta in Italia - il sistema di cucitura Goodyear. Il sodalizio Borri - Vitale proseguì fino alle soglie degli anni ’20 quando i due calzaturieri decisero di operare ciascuno col proprio nome. Giuseppe Borri was born in Busto Arsizio (Varese) February 7, 1867. His father was a shoemaker and Giuseppe began working with him when he was only 9 years old. A few years later he was sent to Milan to specialize in handmade production. In Milan he developed an interest in the booming footwear industry machinery: the first plants were happening in Europe and he tried to investigate the technical issues. When he was 14 years old he decided to emigrate to Locarno's Switzerland and later to other cities. Borri's aspiration was to be able to work at companies where the new machines were already operating like the Bally shoefactory for instance, whose plant was active since the 70s of the XIX century). Still in his twenties he was called back to Italy for the military draft. At the end of it he decided to stay in his hometown. 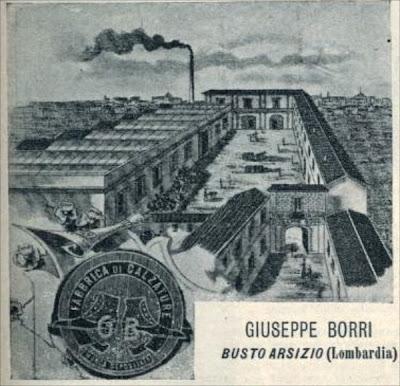 In 1892, 25 years old Borri founded his first plant, a small workshop in the Albrisi alley, Busto Arsizio. That was the beginning of the "Calzaturificio Borri". 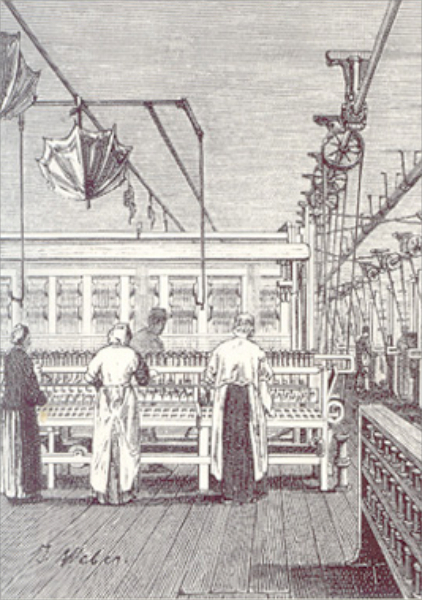 "He installed machinery built up from his own design and began the manufacture of men's footwear, women's and children […] he ran into hundreds of problems: everything about equipments and organization has to be created from scratch; he instructed workers, some of them even hostile to this kind of operations, and did it with the patience and the good nature that characterized his action". Given the circumstances, the shoe factory did well. After a few years he extended the plant and bought new German machinery. 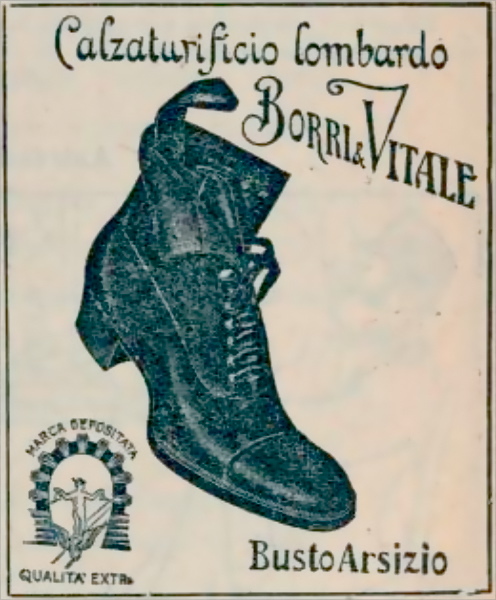 However, the turning point came in 1900: Borri visited the Goodyear stand at the International Exhibition of Paris and he managed to obtain from them state of the art footwear machinery, never seen before in Italy. Since 1901 he started a partnership with Oreste Vitale, a footwear entrepreneur from Alexandria,. Together they built a plant where they introduced, for the first time in Italy, the Goodyear sewing system. The partnership Borri - Vitale continued until the beginning of the '20s until they split in order to operate under their own names.